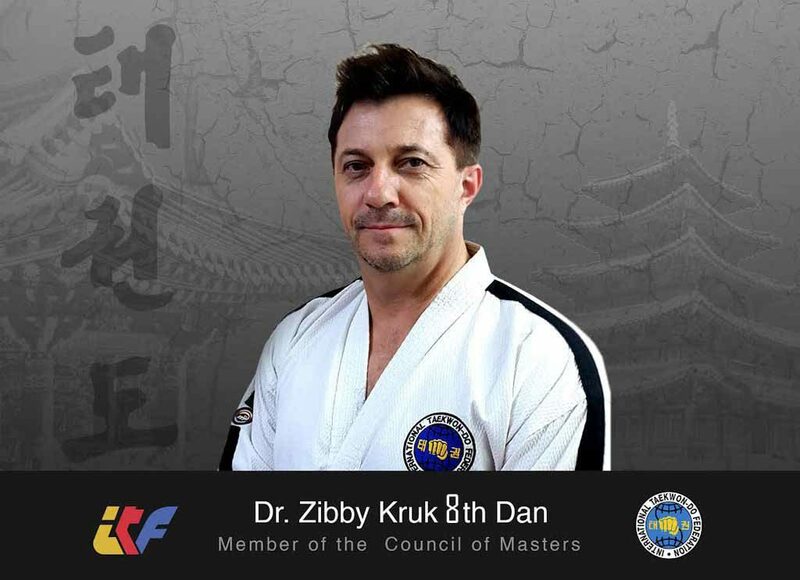 Zibby is an internationally recognised Master/Instructor of Taekwon-Do ITF who has taught in countries around the world including his native Poland, Australia and now Korea. His Taekwon-Do career commenced in 1981 after a few years of ‘dipping his feet’ in karate Kyokyshinkai training. When a group of North Korean instructors arrived to Poland to promote Taekwon-Do ITF, Zibby began training Taekwon-Do ITF under the supervision of Mr Choi Choi Jin (6 Dan). 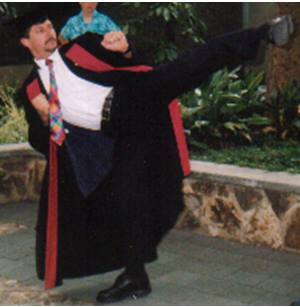 His serious commitment to TKD as well as the high calibre of instructors allowed Zibby to amass a number of National and International Titles including: ITF Polish National Champion 1987, 88, 90 and 91, ITF World Championship 1990 (Bronze, sparring) and ITF European Championship 1991 (Gold, patterns). Also in 1991 he was awarded the best competitor of TKD ITF in Poland. After migrating to Australia at the end of 1991 he set up his club, White Eagle ITF Dojang of Champions in Adelaide upholding the high standards of Polish Taekwon-Do which he carried to the ‘Land Down Under’. 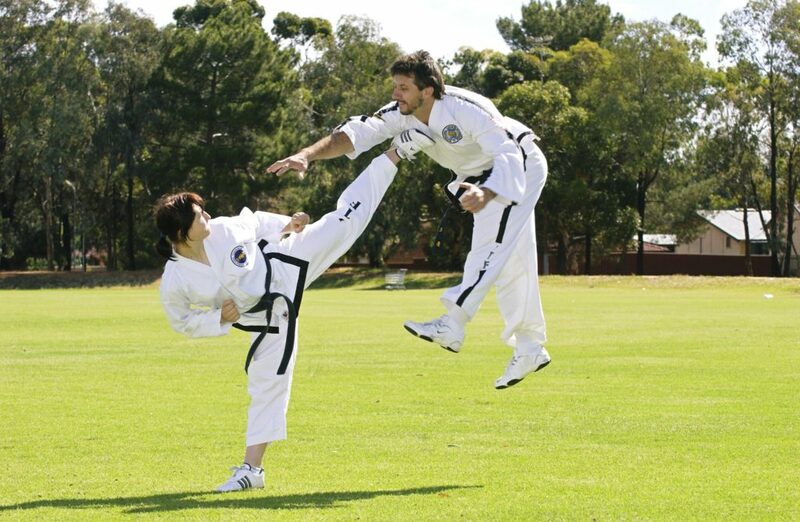 Very quickly, the White Eagle ITF Dojang of Champions became one of the top Taekwon-Do clubs in Australia with many State, National, Australasian and World Champions. The quality and intensity of training as well as motivation and dedication of the students created a very successful club with a 100% success rate in International Competitions. Every White Eagle student who represented Australia at any international competition proudly brought home at least one medal marking Australia, Adelaide and the council of Salisbury on the World Map of achievements. 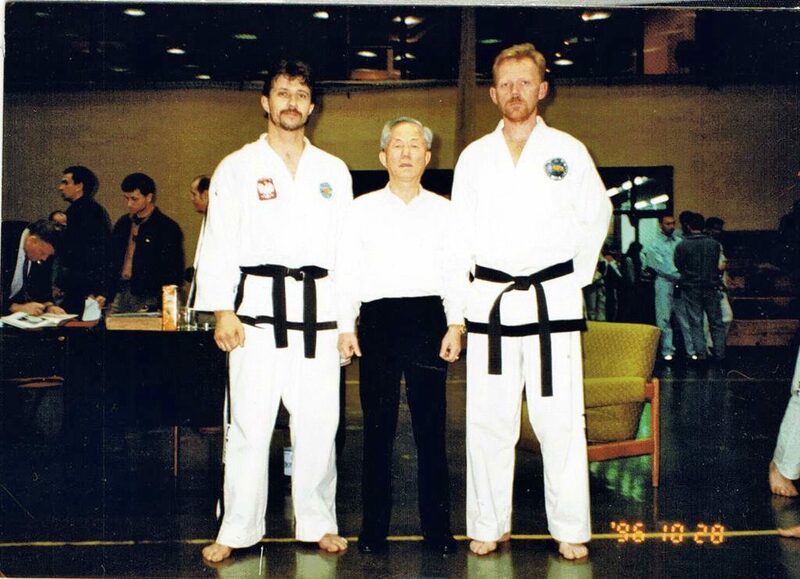 Between 1994 – 1998 Zibby had the honour of assisting the Founder of Taekwon-Do General Choi Hong Hi in his European and Australian seminars. 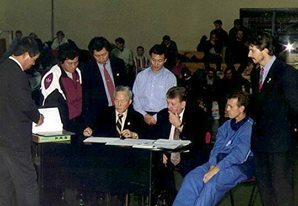 One of his most prestigious accolades was his personal invitation by General Choi, Hong Hi to be one of only nine ITF Instructors in the World to participate as an Instructor on the ITF promotional CD ROM. 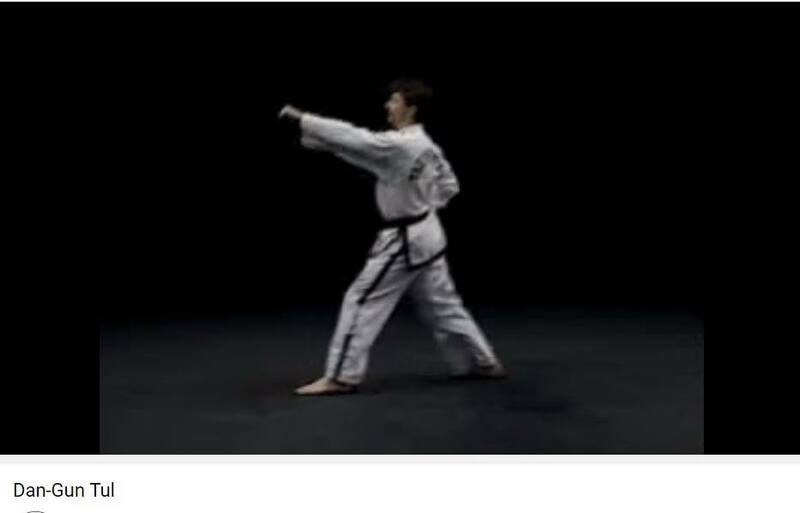 A few years later he was also invited to Canada to participate in another instructional ITF DVD project supervised by the son of the founder, Grandmaster Choi Jung Hwa. 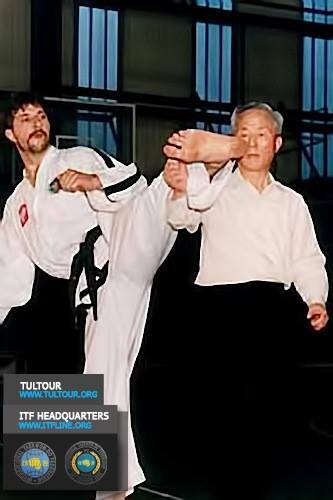 Dr. Kruk’s skill and teaching ability attracted international acclaim and led to him having been awarded one of the most prestigious ITF awards, the “Nine-Star Medal by the ITF”, as the most outstanding ITF Instructor in 2000. As a Senior Instructor, Zibby has occupied a number of positions on National and International Councils. These include: Chief Instructor of White Eagle Taekwon-Do Dojang, Vice President and Technical Director of United ITF Taekwon-Do (Australia) Inc., Director of Umpiring for the Oceania Region of the ITF and Chairman of the Scientific Research Committee (ITF). Dr Kruk’s expertise and experience in Taekwon-Do also includes International Instructor, Umpire, National Team Coach (Junior Team Argentina 2002 and Junior and Senior team-Korea 2004, England 2007), Coach of Joanna Kruk (Winner of 1 Gold and 2 Silver Medals at the 2002 ITF Junior World Championships in Buenos Aires, Argentina and 2 gold, 1 silver, 1 bronze medals individually and 1 gold and 1 bronze as a team member as well as the best overall female in World championships, Daejeon, South Korea). In 2000 Zibby was awarded the best referee at the Taekwon-Do ITF Asian Game in Tokyo, Japan. 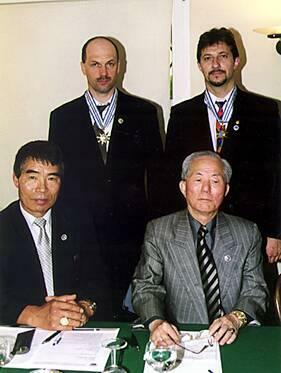 More recently, for his dedication, promotion and teaching of TKD in South Korea, Dr Kruk received the 2006 ITF medal of merit. As an international instructor licensed to conduct ITF recognised and certified seminars all over the world, Dr Kruk’s motto is: “Do not limit your challenges but challenge your limits”. His teaching goal is to have the most skilful and knowledgeable ITF students in the World and his method is to be a friend and guide to his students. Dr. Kruk and his daughter have also been involved in promoting Taekwon-Do and community work in their local area, consequently being awarded 2006 “Living legends” by their local city council. His work and interest in science allowed Dr Kruk to initiate and chair the Scientific Research Committee of the International Taekwon-Do Federation in 2002. In 2008 Dr Kruk accepted a research position at Chungnam National University in Daejeon in Korea and moved to the homeland of Taekwondo where in addition to his university work he was deeply involved in ITF Taekwondo development. He cooperated very closely with ITF Korea, conducted many instructor courses, seminars, workshops and assisted with selection of Korean national teams for the World Championships. In 2010 he accepted a professorial position in the Department of Sport Diplomacy at Chung Cheong University. At that University he developed a base and initiated the World Taekwondo Educational Centre (WTEC) which he was appointed to as Director. While working at Chung Cheong University, Dr Kruk developed many teaching programs and collaborations with international institutions that would provide skill training and internationally approved certifications. He was a part of many historic events in the homeland of Taekwondo such as the official arrival of GM Choi Jung Hwa to Korea, organisation of World Championships and World Taekwondo Festivals (2008 and 2010). 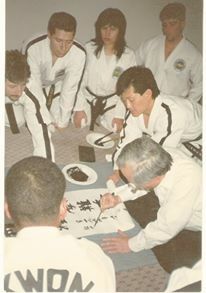 As a Professor, he lectured “Taekwondo ITF in English” which was the first time that Taekwondo ITF was taught as an official subject in the Korean curriculum. Dr Kruk also participated in CISM meetings and negotiations regarding accepting Taekwondo ITF as a part of the CISM games. 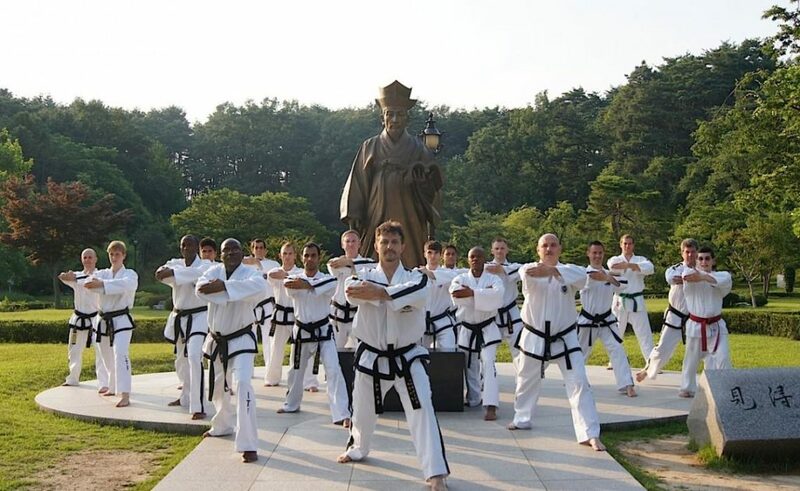 More recently, in conjunction with ITF Korea, he developed and organised TUL TOUR Taekwondo – cultural programs for Taekwondo practitioners around the world which aim to explore the roots of patterns/tul as created by the founder of Taekwondo General Choi Hong Hi and provide technical instructions and theoretical lectures on patterns, practiced in the locations around Korea associated with TUL history. He holds the position as a Secretary General within the ITF HQ Korea and is a member of the Council of Masters. After the great influence of General Choi Hong Hi on Zibby’s life and his special bond with the Founder of TKD all Taekwon-Do seminars conducted by Dr Kruk throughout the world are dedicated to the memory of this very special man. His many projects currently underway in Korea aim to promote Taekwon-Do and the founder’s principles and art to the world. Outside of his Taekwon-Do involvement Zibby Kruk is an expert in the field of Animal Sciences research (PhD in Genetics and Biochemistry) involved in such projects as lamb meat flavour, genetic and non-genetic factors affecting cattle performance, quality of beef, lamb and chicken meat and many more. Currently Dr Kruk is affiliated with the University of Adelaide as a visiting research fellow and with Chungnam National University in Korea as a professor. He is a referee to 5 different research journals, editor-in-chief of moosin online magazine and has been an author of many research publications.